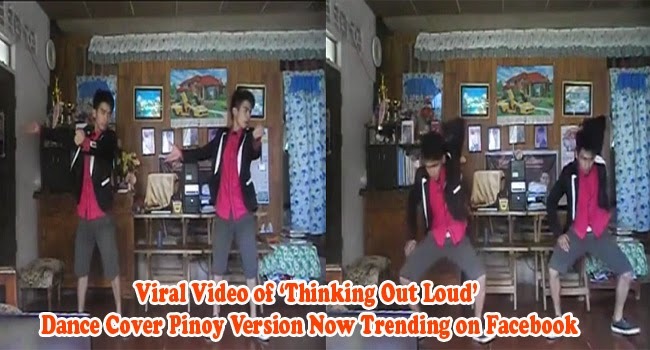 A ‘Thinking Out Loud’ dance cover had been taking over Facebook since it was posted by Rex Hart Valdez on February 2, 2015. Ed Sheeran’s ‘Thinking Out loud’ had not only generated various covers of the song but also a series of dance covers as the original music video showed Ed Sheeran dancing passionately to his own song with a woman. While Ed Sheeran admitted that he is no dancer himself, many had expressed their awe with the song and the video while many also were inspired to make dance covers like Rex Hart Valdez of Davao City. While the video shows two dancers dancing with heartfelt moves to the emotional song, Valdez revealed that it was in fact edited. It was all him and he has no twin to dance with though he wished he had as he shared in a post on his Facebook account. In almost one and a half minute video, people shared how unique his choreography with the song was and how he seemed to have move flawlessly. In fact, as the video was indeed edited, he danced twice for his performance and it was still flawless as one of the Facebook users pointed out. While many debated as to whether it was really edited or not, many also commented that it was his superb movements that made the short clip viral over the social media. 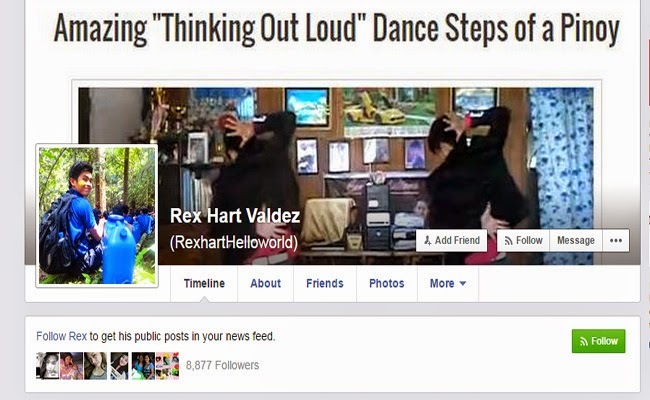 After two weeks of being posted, Valdez’s dance cover had been viewed more than 800 thousend times, shared more than 28,000 times and received more than 41,000 likes. Valdez is a crew member of Hello World (HW) and had graduated last 2008 with a degree in Bachelor of Science in Education majoring in Math from University of Immaculate Conception. Valdez thanked everyone for the views, shares and support, calling it an early birthday gift as his birthday will be on February 15th. He also apologized for unintentionally confusing people to think that he has a twin. He also shared that he will be conducting a dance workshop on February12 at Davao City.